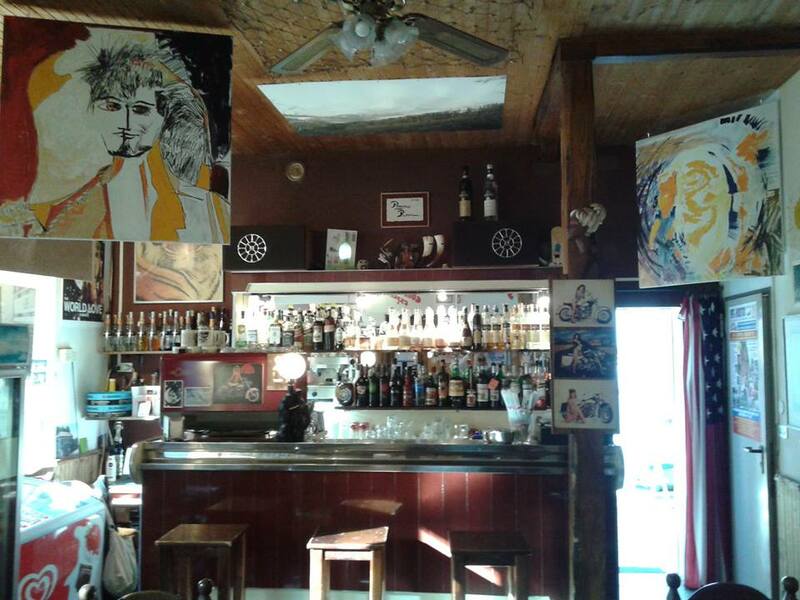 Michel Montecrossa, Mirakali, Diana Antara and their band The Chosen Few will play on 10 days (24th July to 2nd August 2015) at the Spirit of Woodstock Festival 2015 in Mirapuri, Italy. The new highlights for 2015 are the Cyberschlager Friday, the Cyberdance & Cyberrock Saturday, the DreamSpace Electronica Festival on Sunday and Monday, the Michel & Bob Dylan Fest on Tuesday, Cyberrock & Cyberviking are the Wednesday highlights and Cybersymphonica along with acoustic New-Topical-Songs bring the magic of Thursday. The concluding Friday-Saturday-Sunday Weekend of the Spirit of Woodstock Festival 2015 is dedicated to Cyberschlager-Cyberdance-Cyberrock surprises. Michel Montecrossa und sein Lightsound Orchester bringen am Samstag, 2. Mai 2015 die ‘Maria Magdalena Symphonie’ in der Friedenskirche St. Vitus, Dorfplatz 1, 99518 Auerstedt um 20:00 Uhr zur Aufführung. Das Konzert ist Teil des dreitägigen Friedensevents ‘Der Große Frieden’ (1.-3. Mai 2015) organisiert von ‘Ourchild e.V. Kinderhilfswerk’. ‘My Heart Is Bleedin’’ is a song dedicated by Michel Montecrossa to all people traumatized by earthquakes from Christchurch to Nepal and the whole world. With this comforting and heartfelt song Michel Montecrossa calls for global Human Unity and standing together for easing and solving the many problems which tell us not to be egoistic but soulful and loving. Michel Montecrossa together with Mirakali, Diana Antara and The Chosen Few plays the ‘Beautiful Garden of Love, Peace & Happiness’ Concert on 25th April 2015 from 22:00 – 24:00 in the Omnidiet Music-Hall. 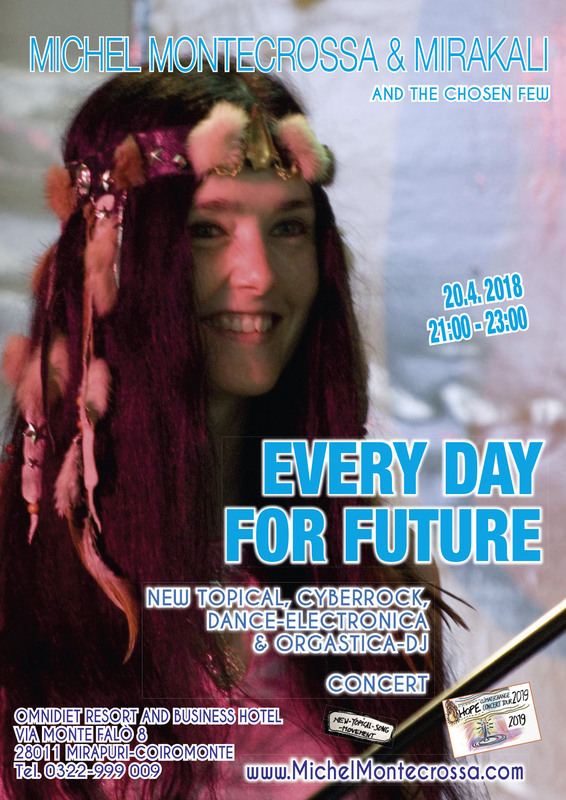 The concert presents Top German and English Cyberschlager, Cyberdance & Cyberrock songs by Michel Montecrossa, Mirakali and Diana Antara leading with their uplifting and cheerful atmospheres into the Beautiful Garden of Love, Peace and Happiness. 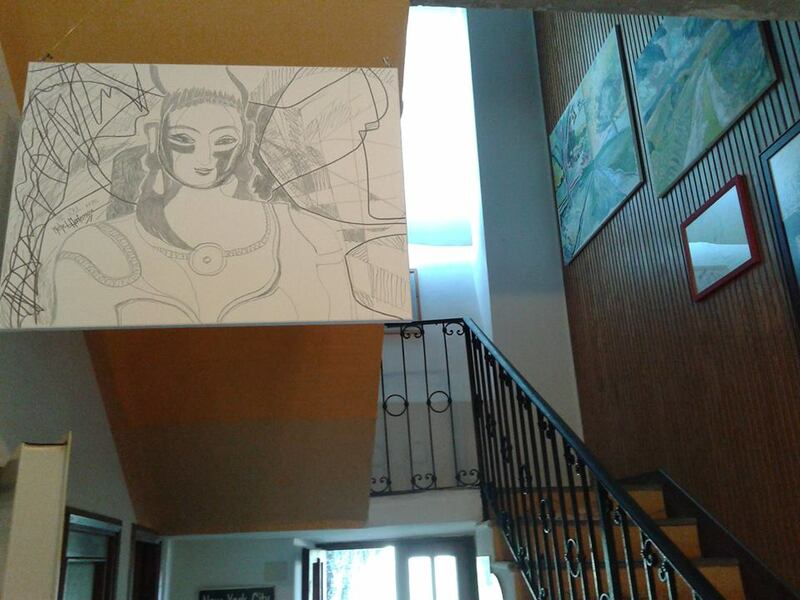 Before the concert you can see the work in progress for the upcoming ENERGY OF ART Exhibition of new Michel Montecrossa paintings and drawings in the Mirapuri New Art Gallery of the Omnidiet Resort and Business Hotel. 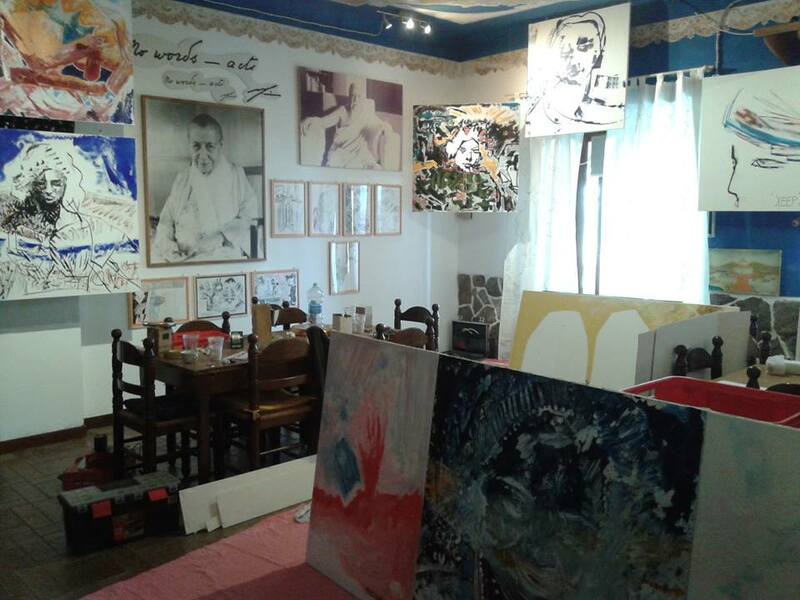 On 18th April 2015 starting 16:00 opening of the ‘DEEP BRAIN’ Art Exhibition of new Michel Montecrossa paintings and drawings for the Spring 2015 till Spring 2016 period. As part of the exhibition Michel Montecrossa with his band The Chosen Few performs his LIEBE, FRIEDEN UND GLÜCKLICHSEIN – LOVE, PEACE AND HAPPINESS Climate Change Concert from 22:00 – 24:00. 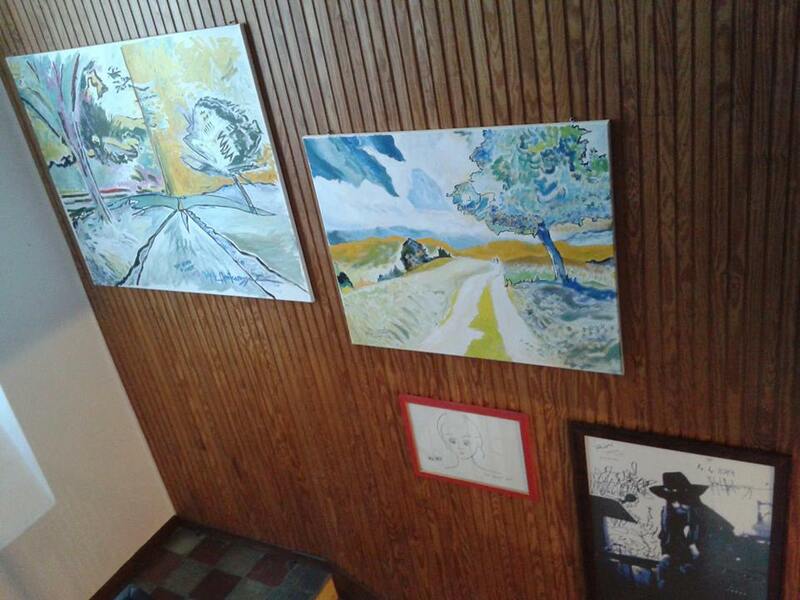 The ‘DEEP BRAIN’ Art Exhibition of new Michel Montecrossa paintings and drawings can be visited every day from 3 p.m. till 7 p.m. in the New Art Gallery at the Filmaur Multimedia House. All Michel Montecrossa Paintings and Drawings are available as High Resolution Digital Art Prints on canvas or paper in the size of the original Paintings and Drawings hand-signed by Michel Montecrossa. All Michel Montecrossa Paintings and Drawings are available also as Art-Postcards. The ‘DEEP BRAIN’ Art Exhibition presents new Michel Montecrossa masterpieces of deeply touching impact, profundity, insight and vision created by the genius of Michel Montecrossa, one of the most outstanding 21st century modern universal artists. The ‘DEEP BRAIN’ Art Exhibition includes more than 150 stunning paintings and drawings from Michel Montecrossa’s abundant creativity during the months from 2014 – 2015 as well as an impressive selection of great all-time masterpieces. All paintings and drawings are available as high resolution digital art prints on canvas or art paper in the original size. The ‘DEEP BRAIN’ Art Exhibition is presented at the New Art Gallery at the Filmaur Multimedia House in Gauting near Munich. “My art is Deep-Brain-Art evolving in unison with the pulse of time in the heart and vision of humanity. Deep-Brain-Art is experience-art and brings to the front the revealed and creatively activated mystery of consciousness. Deep-Brain-Art is one with the morphogenetic field of the people of the world to do them good. Deep-Brain-Art is showing the experience of happiness, love, insight, wisdom and the smiling and indomitable creative joy of powerful peace. The mission of my Deep-Brain-Art is to bring these future-oriented qualities to the awareness of the people all over the world. For completing this cultural mission my Deep-Brain-Art paintings & drawings join forces with my music, books and movies to create a full-stream-of-consciousness event for an international audience. The Miravinci Meditation Centre in Mirapuri is the place for establishing the conscious contact with the living presence of Sri Aurobindo and Mira Alfassa – The Mother who are the spiritual founders of Mirapuri and their treasures of Knowledge, Love and Kindness for Renewal and luminous Future Building.